Vancouver, western Canada's largest city and a longtime center of gay activism hosts a Pride Parade and Festival every summer. There is a series of events held over the six weeks leading up to the final Pride weekend, which culminates with a parade and festival. Vancouver's 2017 Pride Parade is scheduled for August 6. Before the main event, however, a vast array of concerts, parties, lectures, boat cruises, art exhibitions, and similarly enticing events are celebrated. Vancouver Pride has drawn well over 700,000 participants in recent years. It's the largest Pride parade in western Canada and ranks among the biggest in North America. In 1973, the Gay Alliance Toward Equality held a small event in Vancouver, with the area's first Pride parade celebrated in 1978 (although there is some dispute about whether the parade held in 1981 was actually the official first Vancouver Pride parade). The non-profit Vancouver Pride Society oversees the Pride Parade and Festival. The parade runs from noon until 3 pm, beginning downtown at Alberni and Thurlow streets, running west along Robson Street, south along Denman Street, and then curving in an easterly direction along English Bay to the festival site at Sunset Beach. Here's the Vancouver Pride Parade map. The Vancouver Pride Festival at Sunset Beach (at Beach Ave. and Jervis St., near the Davie Street Gay Village) takes place from 11 am until 6 pm and features a Pride Festival Family Picnic Zone; plenty of community, retail, and food vendors; and a main stage with free live music and a Vancouver Pride Market. It's held the same day as the parade in 2017, August 6. This event gets crowded, so plan your visit in advance, and visit the Vancouver Pride website to see which events are ticketed. Other related events take place in Vancouver this summer, including the Vancouver Queer Film Festival from August 10 through August 20. Vancouver Pride week kicks off in Stanley Park with family-oriented events including the Pride Run & Walk and Picnic in the Park. The Pride Run & Walk is a 5k/10k run/walk ending at Lumberman's Arch in Stanley Park. Post-race, runners and walkers can join the Picnic in the Park at the Brockton Oval, which features a barbecue, a beer garden, games and live music. Davie Street, in Vancouver's West End, has been a hub for the city's LGBT community for more than 30 years. It's known for its LGBT nightlife scene and is the spot where the Pride weekend activities officially get underway. In 2017, the legendary Davie Street party, which is a family-friendly, all-ages event, will be held August 4. 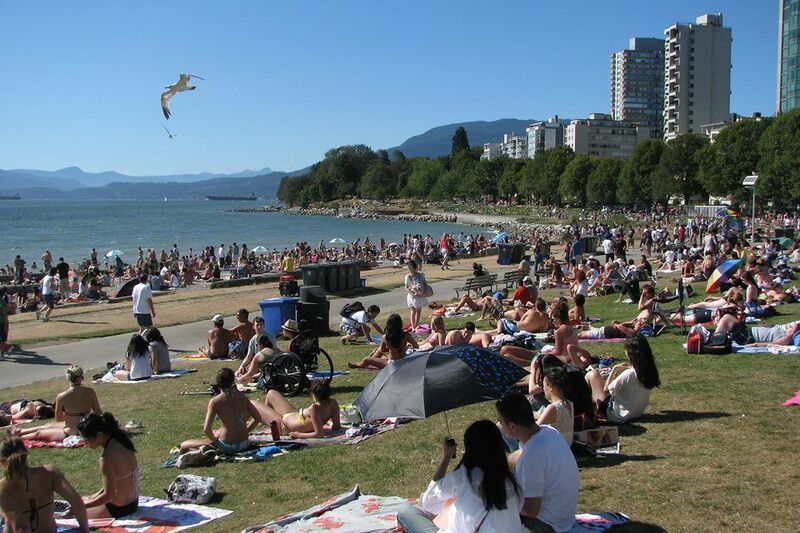 Many LGBT bars, as well as gay-popular restaurants, hotels, and shops have special events and parties throughout Pride Week, and the beautiful Vancouver LGBT beaches will also be packed with revelers. Check local LGBT papers, such as Xtra Vancouver, for details. Also, check out Tourism Vancouver's outstanding site welcoming LGBT visitors.